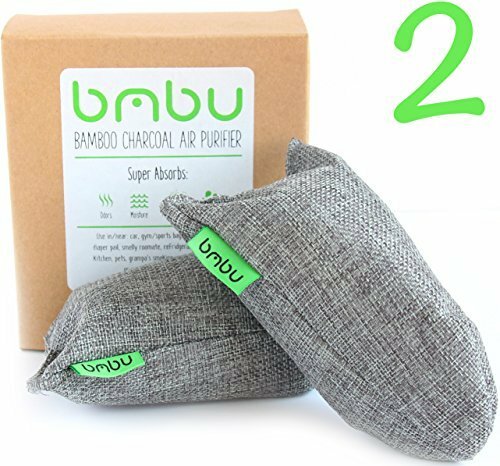 5 Best Activated Charcoal Natural Air Purifying Bags: Activated charcoal (also called activated carbon) air purifying bags have become increasingly popular in India for its natural properties, cost effectiveness, portability and re-usability. A research shows that indoor pollution could be five times more polluted than outside for high levels of carbon monoxide and nitrogen dioxide emitted from cooking. In simple terms, activated charcoal is a fine black powder made from coconut shells, peat, coal or sawdust. The charcoal is “activated” by processing it at very high temperatures, which changes its internal structure and reduces the size of its pores. Activated charcoal is more porous than regular charcoal. Activated charcoal is also called activated carbon. The charcoal’s porous texture has a negative electrical charge that causes it to attract positively charged molecules like gases or toxins. Activated charcoal is proven to clear out nasty odors and toxic gases from the air. Activated charcoal is commonly sold in bamboo and coconut charcoal options. The key difference between the two is the micro porous surface area. Bamboo charcoal has bigger cavities up to 60 um. Coconut shell activated carbon has not only the bigger cavities, but also lots of micro small cavities as well. The small holes help to absorb the tiny particles in the air, and therefore, the more holes, the better the result. 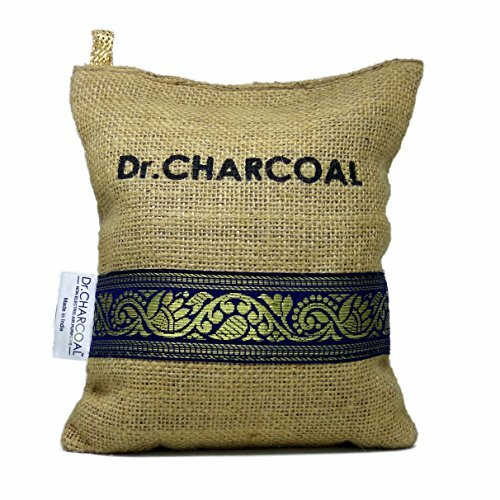 Activated charcoal effectively removes all chemicals and pollutants suspended in the breathing air and relieves your respiratory system by enhancing the quality of air. It removes harmful airborne pollutants like formaldehyde (which can be carcinogenic), ammonia and a bunch of various other VOCs that get emitted from various products that are used daily in your homes, offices, cars, washrooms, fridges etc.. It beats the conventional air fresheners by a notch that just mask the odors by their strong chemical fragrance. These fresheners usually contain toxic ingredients which not only compromise your health but also cause home and environmental pollution. But, while charcoal takes out hundreds of different volatile compounds it does not filter out small particulate matter. 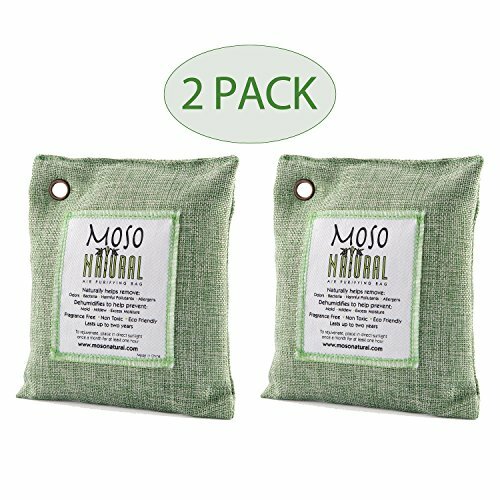 We’ve relied heavily on buyer reviews from Amazon.in to pick our 5 best rated activated charcoal natural air purifying bags in India. 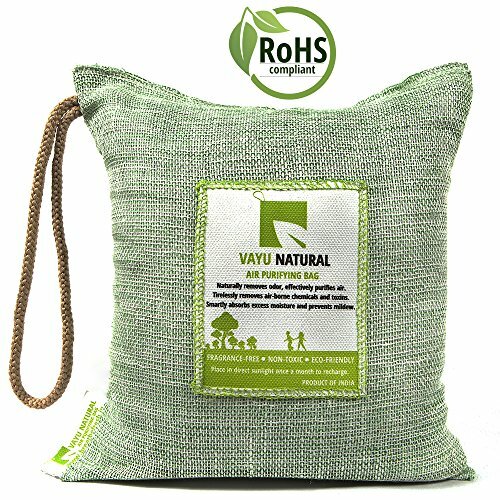 Introducing Vayu Natural Advanced Bags with 3-Layer technology which gives 3x extra power, strength and durability. Specifically designed to remove maximum odors, excess moisture and pollutants of different particle size found in Indian homes. Contains powerfully activated eco-friendly polyurethane filters designed to hold heavy particles like smoke etc. Build to adsorb airborne chemicals, harmful pollutants, chemicals from paints and household cleaners floating in your air.
? 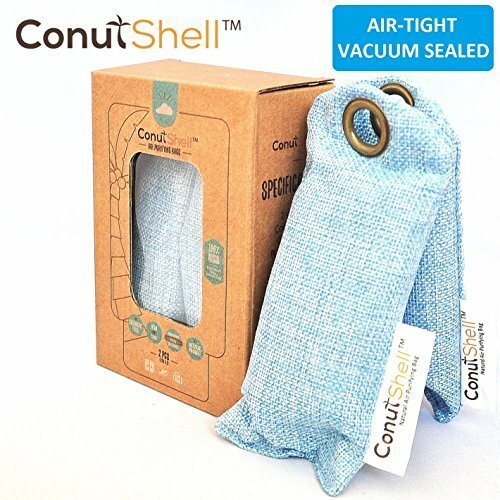 Most Value for Money Premium Coconut Shell Charcoal shoe deodorizer, air purifying bags, odor eliminator, odor absorber & shoe odor remover. Disclaimer: It is a deodorizer and has no smell / neutral smell.
? Coconut Shell Charcoal is 3x-6x more effective than Bamboo Charcoal as deodorizer and absorbing odor, which makes it a premium grade charcoal deodorizer.
? Renewable up to 2 years. ConutShell(TM) bags love Suntan ! : ) The bags will get a new lease of life by exposing it to Sun UV rays. The rays will remove impurities trapped in coconut shell charcoal's cavities.